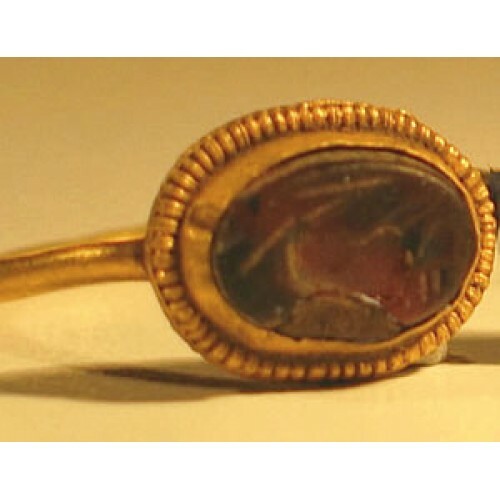 Beautiful authentic ancient Roman Gold Ring set with a carved carnelian intaglo, circa 2nd Century AD. Bezel is engraved with a hare - this is slight damage to the bezel in that a chip of carnelian is missing, hence the low price. 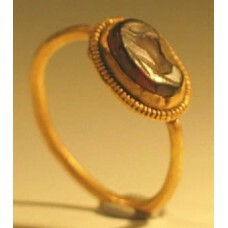 This does not distract from the beauty of the piece or the engraving of the bezel and is part of this items unique history. 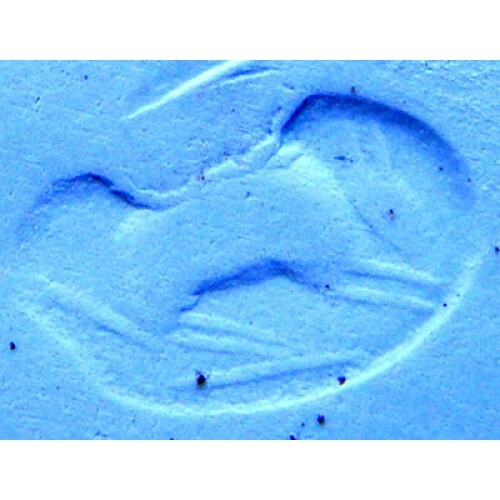 In Greco-Roman myth, the hare represented romantic love, lust, abundance, and fercundity. Pliny the Elder recommended the meat of the hare as a cure for sterility, and wrote that a meal of hare enhanced sexual attraction for a period of nine days. Hares were associated with the Artemis, goddess of wild places and the hunt, and newborn hares were not to be killed but left to her protection. Rabbits were sacred to Aphrodite, the goddess of love, beauty, and marriage—for rabbits had “the gift of Aphrodite” (fertility) in great abundance. 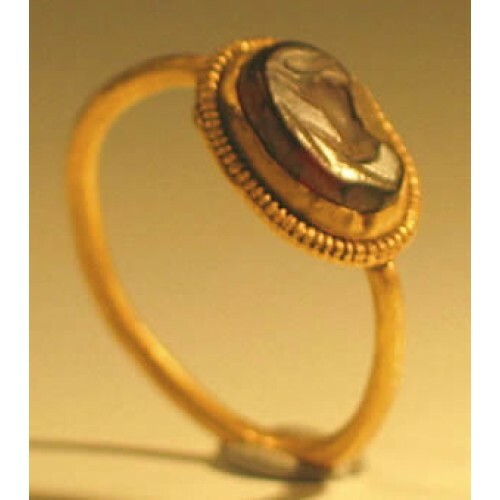 In Greece, the gift of a rabbit was a common love token from a man to his male or female lover. In Rome, the gift of a rabbit was intended to help a barren wife conceive. Carvings of rabbits eating grapes and figs appear on both Greek and Roman tombs, where they symbolize the transformative cycle of life, death, and rebirth. Measuring US 6.5 and UK Size L.